Selma, Ava DuVernay’s stirring, forceful chronicle of the campaign for equal voting rights in Alabama, is one of the great political dramas in recent years. Its greatness lies in its compassionate and nuanced portrayal of that struggle on all levels, from frustrated but determined residents of that Southern town to the activists who flocked there hoping to force a reluctant president to act. The horrifying scenes of police brutality during Bloody Sunday that were broadcasted on TVs around the world are ferociously recreated here, and informed by the raw, intimate stories of the brave men and women involved in that march. 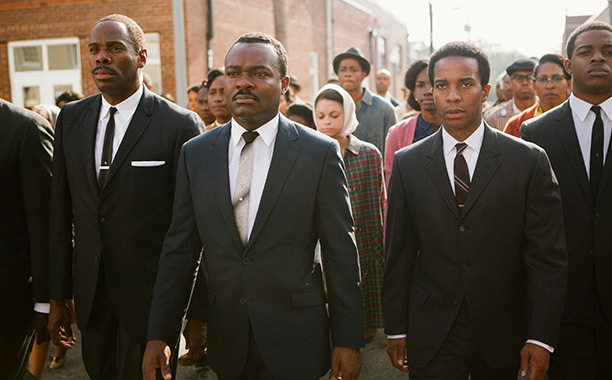 DuVernay wrests those historical images from the past and creates a totally immersive and shocking sequence here. The Edmund Pettus Bridge becomes shrouded in a thick cloud of tear gas as police smash, whip and otherwise brutalize the peaceful demonstrators.